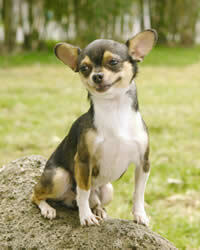 Toy dog breeds are extremely popular in the U.S. these days. According to the American Kennel Club, three of the top ten most popular breeds in the country are Toy breeds (the Yorkshire Terrier, the Poodle, and the Shih Tzu), with three more in the top 20. It’s understandable that these small dogs should be so popular. After all, they’re cute, right? (Your German Shepherd may not think so!) Here is a brief overview of why Toys are so hot. Toy dog breeds are almost universally known as big dogs in small packages. Most toy dogs do not know they are small. They have big personalities. Although they are small, they are mighty. They can run and play and have a good time. They are vastly entertaining and most of them are very intelligent. Many toy dog breeds have working dog pasts, but today they are solely used as companions. Many of them have been bred down to their current small size from larger sizes. They know how to give and receive love. They are affectionate and love to cuddle up next to, or on top of, their owner. Many Toy dogs live longer than larger dogs. It is often easier and less expensive to care for Toy dogs than other dogs. They eat less, they require less exercise, and their routine veterinary care costs less than for medium dog breeds or large dog breeds. All of these things have made them very popular with people who live in cities and often make them the best apartment dogs. This may help explain why Toy dogs have become more popular in the last several decades as more people are living in cities. Toy dogs can be obnoxious. As mentioned, sometimes they do not realize or seem to care that they are small dogs and they can get in the face of larger dogs, starting fights. You may have to intervene by picking up your small dog and removing them. Toy dogs can have a Napoleon complex. Although they are small, they can try to rule your household. They may try to rule you. It’s surprising how many owners allow a Toy dog to get away with this kind of behavior. They may rationalize it by saying, “Oh, he’s so small. It doesn’t matter if he behaves badly.” But it does matter. A small dog can bite or otherwise have behavior problems, just as a large dog can. If you have a small dog, dog training is still very important. You DO need to teach the dog proper behavior from the time its a puppy and not allow it to misbehave. Although normal veterinary care for Toy dogs is usually less than care for large dogs, Toy dogs can have their own set of health problems. Luxating patellas, dental problems and other issues are common in toy dog breeds and may require extra trips to the vet. In some cases surgery and other treatments may be necessary. Toy dogs can be difficult to obtain and may cost more than larger dogs. Because of their small size, Toy dogs usually only have one or two puppies per litter. This means there is often a long waiting list for a puppy and prices for a puppy may be high. By contrast, large dog breeds may have six to 10 puppies in a litter and prices may be lower. Some of the most popular Toy dog breeds in the U.S. today are the Yorkshire Terrier, the Toy and Miniature Poodles, the Shih Tzu, the Chihuahua, the Pug, and the Maltese. These breeds originated from all over the world. The Yorkie comes from the textile mills of northern England where they were originally used to kill vermin. They still make great little ratters and have a bold personality. Toy and Miniature Poodles are small versions of the Standard Poodle. Poodles were originally water dogs used to hunt and retrieve game. They are one of the smartest of all breeds, dog training is relatively easy, and they are very athletic. They make outstanding pets. 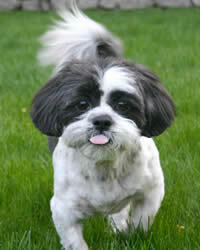 The Shih Tzu comes from China where they have been companion dogs for a very long time. DNA evidence suggests that the Shih Tzu is one of the oldest of all breeds of dogs. The Chihuahua is from Mexico. It is believed that they are descendants of dogs that once belonged to ancient tribes in Mexico and were probably used in religious ceremonies hundreds of years ago. The Pug is also from China and is another ancient breed. They became popular in Europe after the 16th century when they were associated with the House of Orange in the Netherlands and England. The Maltese has been known on the isle of Malta in the Mediterranean for some 2000 years. If you would like to get a Toy dog you should investigate various dog breeds. There is a wide range of personalities among Toy dogs. Some Toys are calmer than others; some are very bold and outgoing. Some love to cuddle while some are curious and love to investigate. They are much like large dog breeds and there are great differences in the breeds. Ask questions of breeders about dog health problems and about the dogs used for breeding. If you take your time and choose carefully, you can find a great Toy dog that suits you and your lifestyle.